Last night I got the chance to attend an advance screening of Silver Linings Playbook, the new film by David O. Russell (director of The Fighter and Three Kings), and starring Bradley Cooper, Jennifer Lawrence and Robert De Niro. Let me just say three words: Go. See. It. Charming, intense, emotional, upsetting, endearing, uplifting, funny — SLP is a tremendously well-told and jarringly human story, based on Matthew Quick’s novel. Bradley Cooper and Jennifer Lawrence deliver a couple of fantastic performances, and the supporting cast is equally stellar. 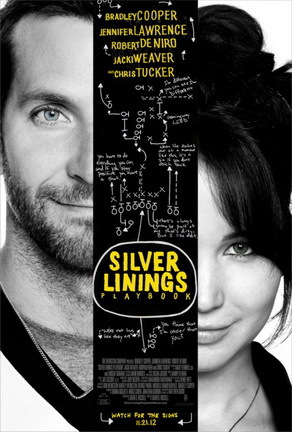 Silver Linings Playbook is released in the US on November 21.